It’s time to figure out what type of event would work best for your school or school group. An International Day of People with Disability event should involve and celebrate people with disability and be held on or around 3 December. Check out this kit for ideas, tips and tricks to help you celebrate and plan your event. 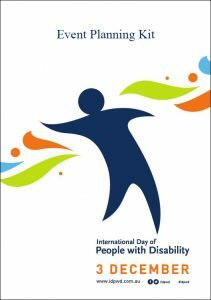 There are also a number of resources to help incorporate International Day of People with Disability in the classroom.